In addition, the reactivity and depth of Fort Tarsis could be seen in future BioWare hubs. PAX West was fairly busy for BioWare as it detailed a whole bunch of things for its upcoming shared-world shooter Anthem. Along with revealing the “Our World, My Story” trailer and dating the demo, the developer also confirmed that conversations would only have two dialogue choices. While that does create some concern, BioWare is committed to expanding on the story post-launch. In fact, the developer hopes to implement this kind of continuous story-telling for future games like Dragon Age or Mass Effect. According to VG247, lead producer Mike Gamble said at PAX West, “We’ve got the continuation of stories after we’ve launched. If you remember back to the ancient times we released a game and that would the story for a set of characters, and we released DLC that enabled us to tell unique bits of story afterwards. “For Anthem, where we’d all like to see us head, is the ability to tell new great stories throughout the years, throughout the months after launch. So after Anthem, we can say, okay, now we’re going to expand the storyline for one of those Agents, or now that certain points in the game world have happened, this changes the relationship, this changes this character, this changes the type of missions for certain characters. Or even we add new characters, we add new Agents. 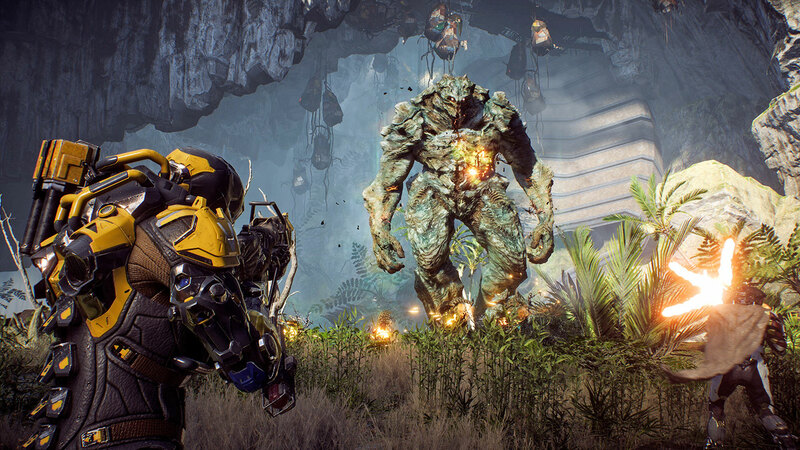 Executive producer Mark Darrah said that he believes future games will also mimic the reactive storytelling seen in Anthem. “One of the things that we’ve really done in Anthem is focus a lot of attention on Tarsis,” he said. “It’s the primary place where we do the reactive storytelling. It’s an interesting proposition. However, with the changes to the dialogue system and many having already decried Anthem as not being a true BioWare RPG, it remains to be seen how Dragon Age and Mass Effect will change as a result. Will this focus on continuous story-telling conflict with the traditional campaign of past BioWare games? Time will tell, especially since the developer is most focused on Anthem above everything else. Anthem will release on February 22nd 2019 for Xbox One, PS4, and PC.